2nd Tuesday, Noon - 1:00 p.m. The Portland Chapter of the Project Management Institute (PMI) is continuing its Downtown PDX Project Management Roundtables series. There will be the usual refreshments, courtesy of PMI Portland. Below are instructions for creating a PMI account and being able to receive these announcements from PMI directly. We will be sending future roundtable notifications from PMI Portland’s mailing system. 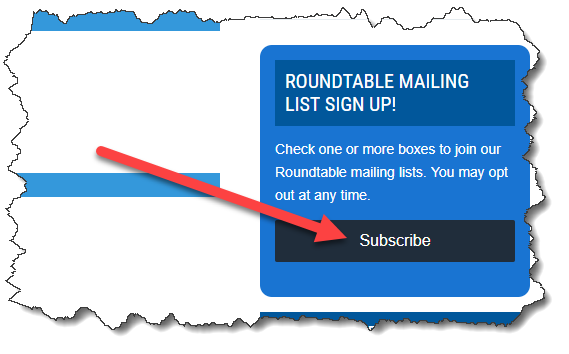 In order to continue to receive notifications, you’ll need to sign up at PMI Portland’s Roundtable Mailing List Sign up. Fortunately, it’s easy. See below for intstructions. 2. Scroll down on the Roundtable page to Roundtable Mailing List Sign Up on the right side of the page. 3. Click the Subscribe button. 4. 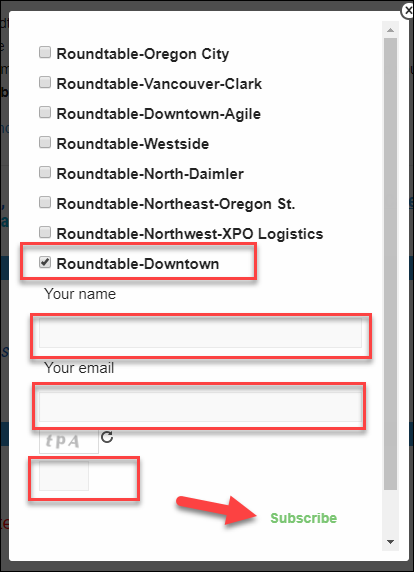 Select the “Roundtable-Downtown” option (and any other roundtables you are interested in). 5. Enter your name, your email, fill out the captcha.